Chicken kabobs are one of my favorite weeknight dinners. They’re quick and easy to prepare, and very versatile. 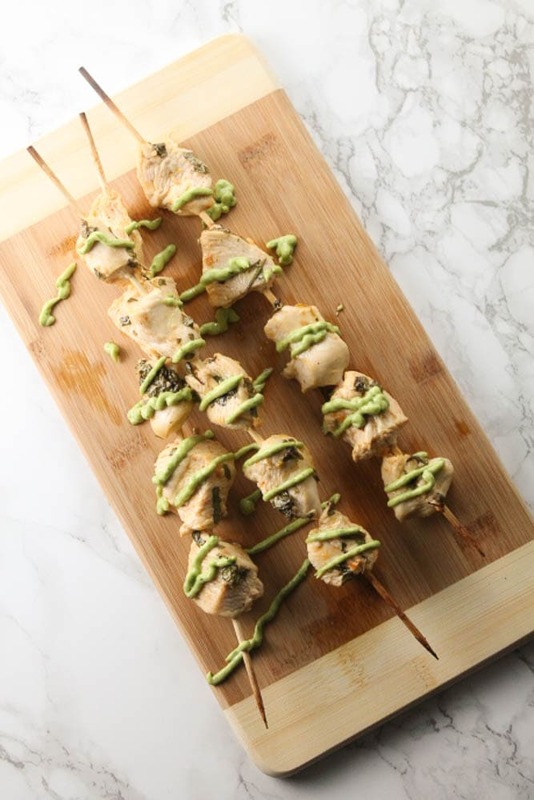 I have a couple of marinades that I really love, but these cilantro-lime chicken kabobs are one of my favorites. Most people think of kabobs as a summertime backyard bbq dinner, but because I make them year-round I’ve included both oven and grill cooking directions. You guys know how much I love this Avocado-Lime Dipping Sauce. 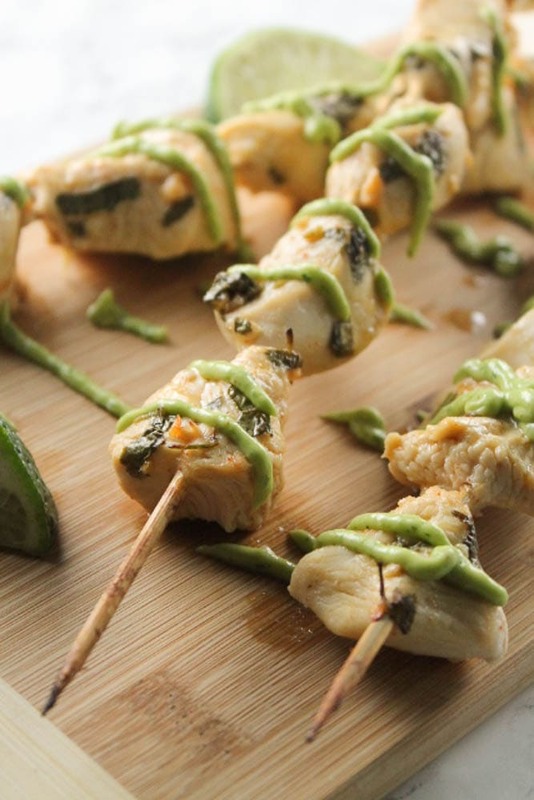 It’s delicious on almost anything and I knew it would be perfect on these kabobs. I served them with a side of brown rice and a quick green salad, and it was a wonderful quick dinner. Combine olive oil, lime juice, cilantro, cumin, and salt to create a marinade. Slice the chicken into 1 square inch pieces. Place the chicken in a gallon size Zip-loc bag and pour the marinade over the chicken. Seal the bag and marinate in the refrigerator for at least two hours, overnight if possible. Soak skewers in water overnight as well. Thread the chicken on the skewers. Line a jelly roll pan with aluminum foil. Place the skewers on the jelly roll pan, and place the pan on the center rack of the oven. Bake kabobs for 10 minutes, then flip the kabobs over and cook for an additional 10-15 minutes, until internal temperature reaches 165 degrees. Lightly oil the grill, and place the kabobs on the grill. Cook, flipping occasionally for about 15 minutes until internal temperature reaches 165 degrees.